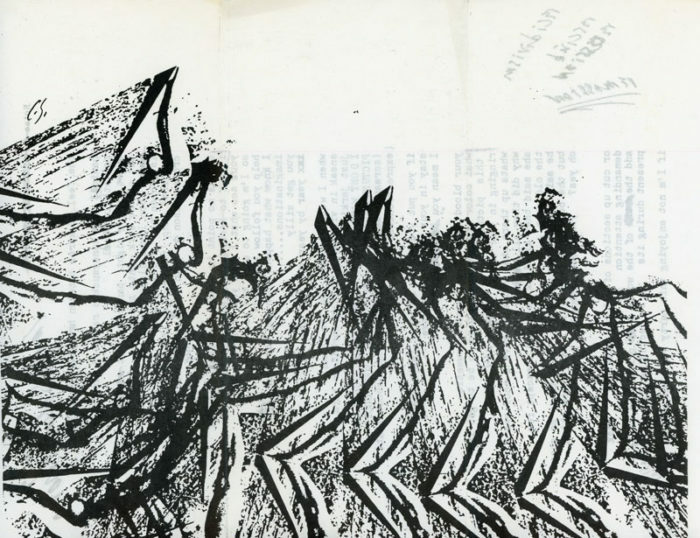 Xeroxed piece by Schneemann that includes text from a poem on one side, and a xerox of a drawing on the other. 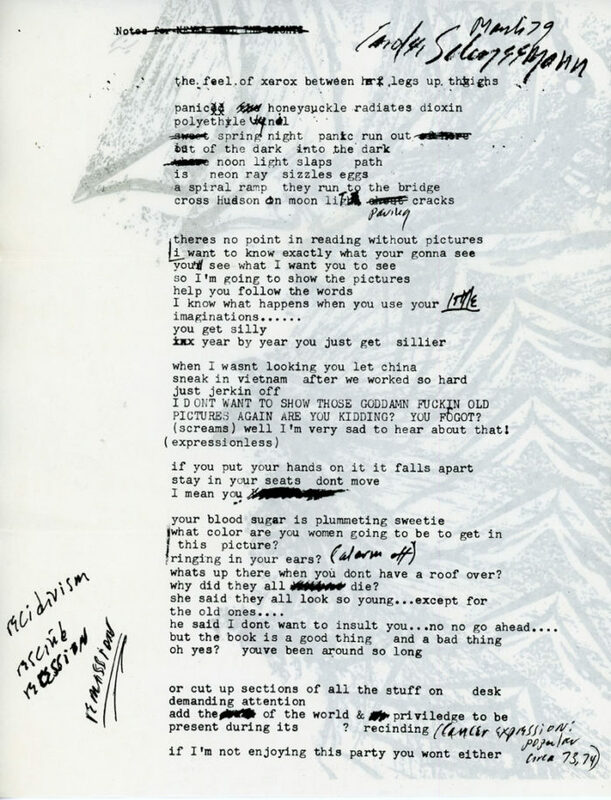 Comes with a flyer for the New York Reading Series, that is likely where Schneeman read her poem. 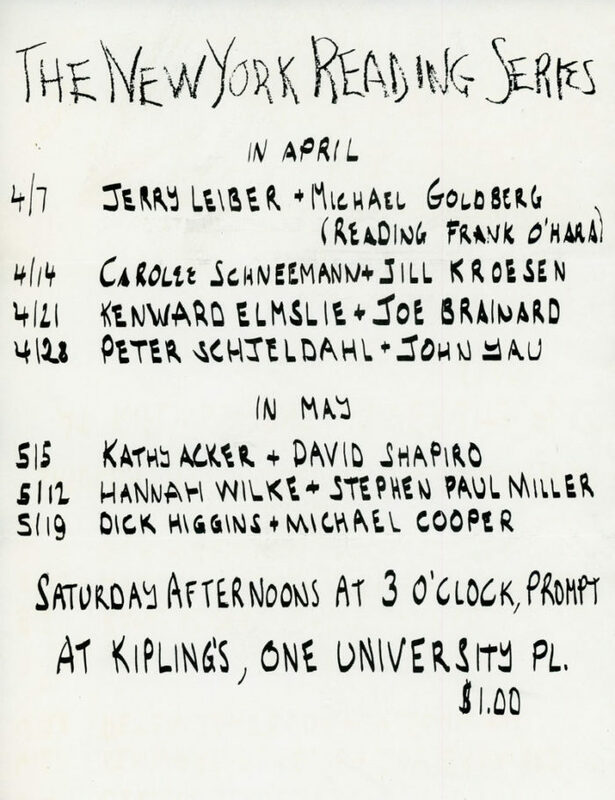 The series also includes performances by Peter Schjeldahl, Kathy Acker, David Shapiro, Hannah Wilke, Joe Brainard and others at Kiplings, Spring 1979.